CAD software are numerous and each sector and project require special software tools. In this blogpost, we are going to help you to choose a 3D modeling software for your automotive projects. Indeed, the automotive industry is actually making the most of the 3D printing technology, and in order to use this manufacturing process, you need a 3D program. 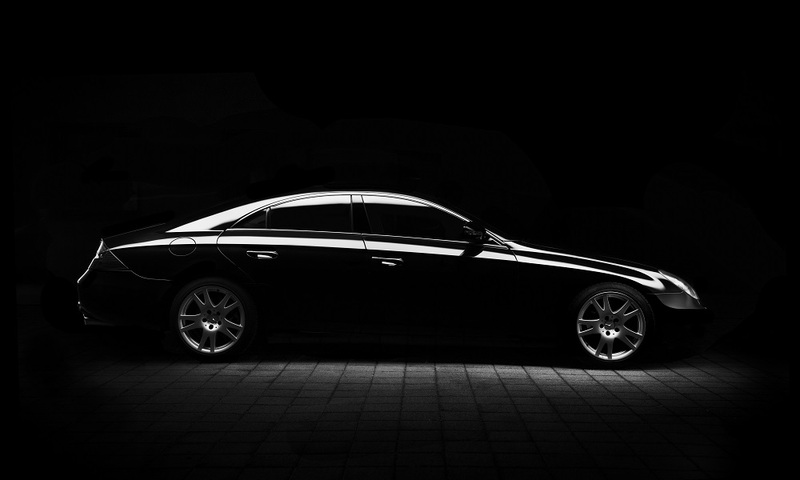 Automotive software can also be useful for other reasons, to design or to manufacture car for example. First, we are going to see how 3D printing and 3D modeling software are helping the automotive field. There are no automotive software, but we actually made a selection of software with the best tools for the automotive industry for you. Let’s find your car design program! If 3D printing can be good for both prototypes and production in sectors such as aeronautics and space, it can also be useful for the automotive industry. We saw in a previous blogpost that it is totally possible to print car parts. This is a good solution to change the way cars are built. Additive manufacturing can also be used to help you with your prototyping process: it will allow you to make iterations at a lower cost, and way faster than with traditional manufacturing processes. 3D printing could quickly become a real asset for you product development. The 3D printing technology is improving everyday and the 3D printed car is becoming a reality. Indeed, this manufacturing process has many advantages, for example, it is a good way to reduce the car’s weight or to make several iterations for prototypes. It is also great to create customized cars! There are always new 3D printing materials and impressive 3D printers appearing on the market, allowing to print more ambitious projects and more mechanical parts for these kind of projects. If you are planning to 3D print parts for a car, you will have to work with a 3D modeling software first in order to create a 3D file. Once you have your 3D printed part, you just have to upload it on our online 3D printed service. Automotive software could help you on many different aspects of your work, even if you’re not planning to use additive manufacturing. 3D modeling software are really useful to work on concept designs and mechanical designs for example. Improving your car design could be a good way to optimize a car. It could also help you to work on specific parts, as some software are made to work on electronic devices or mechanical parts. You can create the interior design of the car, but also the engine or the car body. Moreover, some 3D software are perfect for rendering, they are offering very good tools for visualization. You could have a realistic rendering of your project with simulation software, which could be good for customers for example. What are the best car design programs ? There are no automotive software, but you made a selection of the software that are actually used in the automotive industry, and that could help you with your projects. For example, it could be convenient to use a 3D software made for mechanical uses, able to create industrial equipments. If you need to work on the design of your project, you can use a good simulation software. These programs are obviously a great asset for the automotive market. Let’s discover all the software that could help your to design cars and other automotive devices. Be careful: product designing is not easy and these car design programs are not for absolute beginners. Alias is a software developed by Autodesk. It is a good tool to work on industrial designs, and especially for automotive projects. It has a wide range of tools that are actually useful for sketching and modeling. You can easily go from 2D sketches to 3D models thanks to Alias, but this program is also good to make some concept modeling. Moreover, this software has good design tools, and is allowing a good visualization of your projects. The car manufacturer Aston Martin is actually using different software to work on car designs, and Alias is one of them! If you need to work on automotive designs, 3Ds Max is the best solution on the market. This is an accurate tool, mostly used by professional designers to create high-end renderings. Moreover, this program can be used for Virtual Reality. This is a good software to make shape modeling, that is why it can be useful to make a great car body. 3Ds Max could be a real advantage for your design process as it can totally help automotive manufacturers to create realistic car designs. Blender is an open source 3D software. This program really has a wide range of tools that could be very useful, especially for your automotive designs. It has simulation tools, it supports polygon meshes and NURBS surfaces. It is really complete, but you can also develop your own feature if your are an advanced user! Moreover, this software has quite a big community, so a lot of tutorials and guides are available. If you need some more help with Blender, check our 3D design tutorial here. SolidWorks is the perfect 3D modeling software for engineers and 3D designers. SolidWorks is a powerful tool that will help transportation designers to build innovative and efficient models. This CAD software has an easy interface and can be used for design, or to create mechanical parts. Some automotive manufacturers are actually using SolidWorks, such as The Knapheide Manufacturing Company, working on utility truck bodies, or the motorcycle manufacturer Orange Country Choppers. We have a tutorial for you if you need help to prepare your 3D file for 3D printing. Creo Parametric is a 3D modeling software that will help you to create great 3D models and to work on smart industrial designs. This program can surely be used by engineers in the automotive sector, as it is allowing to work on technical surfacing, 2D and 3D drawings, designs and model assembly. Moreover, this CAD software is really easy to use thanks to its intuitive user interface. AutoCAD is a modeling software developed by Autodesk. The car manufacturer Nissan Motorsport uses AutoCAD to create iterations of its projects. Using CAD software allows them to avoid mistakes during the manufacturing process. 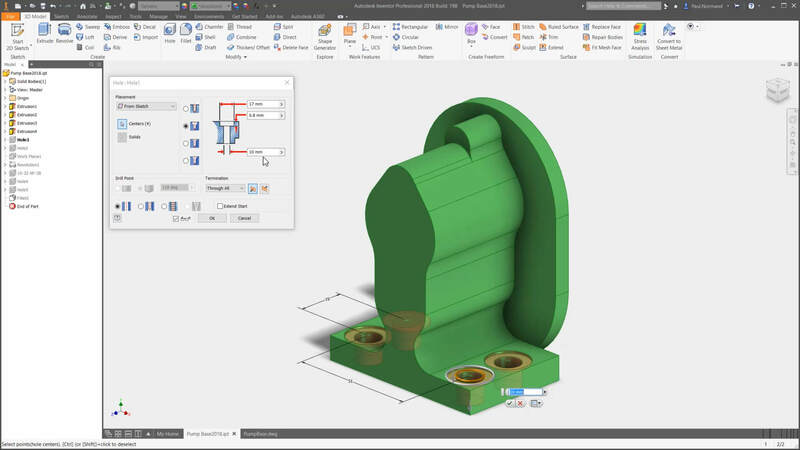 This design program is perfect for engineers to make 2D drawings and 3D models. AutoCAD is a professional software tool, used in many different industries such as automotive, architecture and so on. It is a good 3D software to work on advanced manufacturing and generative designs. A lot of tutorials are available to begin with this program, so if you are just getting started with 3D modeling, this could be a good solution for you. Working on mechanical design is essential for any automotive project, and here is the perfect 3D modeling software for that: Inventor. It has various modeling options and great simulation tools. If you are working in the automotive sector, this CAD software will surely help you to improve your performance. Catia is a professional 3D software developed by Dassault Systèmes. With this program, you can actually work on any product. Catia is used a lot in the aeronautic and aerospace industry. It is really perfect for mechanical engineering, and could help you to create your mechanical parts, but also great automotive designs. If you need some help with Catia, check our tutorial! With SketchUp you can produce accurate models for your automotive projects. This software is really easy to take in hand. Indeed, it is known to be an intuitive program. If you are not very experienced, it could be perfect for you to create car designs. SketchUp is a practical tool to create your project from scratch, you can do all the drawing that you need. If you want to create your 3D printed parts, check our tutorial to prepare your 3D file for 3D printing with SketchUp. 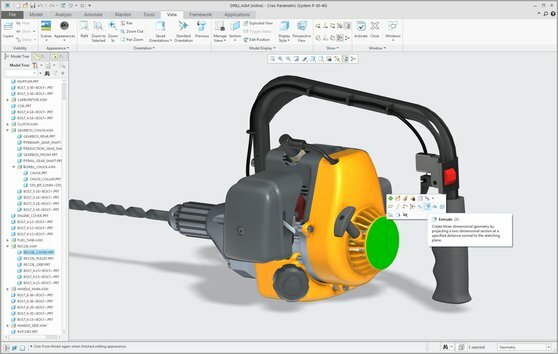 Rhino is a professional tool, used by engineers and 3D designers. As Rhino is useful in many different industries such as fashion or architecture, you can totally use it as a car design software.Thanks to this design program, you will get high quality 3D models. You need to be a little bit experienced but this software will allow you to create impressive projects in no time. Rhino will help your for car design projects for instance. If your need to 3D print your parts, take a look at the tutorial we made to prepare your 3D file with Rhino. Additive manufacturing and CAD software are actually very useful for the automotive field. There are no car design software broadly used on the market yet, but we hope that you will find the right design software for your future project in the automotive industry. If your want more information about 3D printing and 3D modeling software each week, don’t forget to subscribe to our newsletter!